VIRGINIA BEACH, Va., (November 20, 2017) – Something more to be thankful for just in time for the holiday weekend; gas prices are dropping as Virginia remains 7th least expensive state for gas. The current price in the Commonwealth is $2.31, a one cent drop from last week, still a seven cent increase from last month and 32 cents higher than last year. Some parts of Virginia have seen an even lower drop, with Hampton Roads currently at $2.28 which is three cents less than last week. At $2.54, today’s national gas price average is two cents less than one week ago and 40 cents more than a year ago. While current prices are higher than last year, the price at the pump is not stopping Americans from hitting the road for the Thanksgiving holiday. “Nearly 1.3 million Virginians will travel more than 50 miles away from their home by car this holiday. 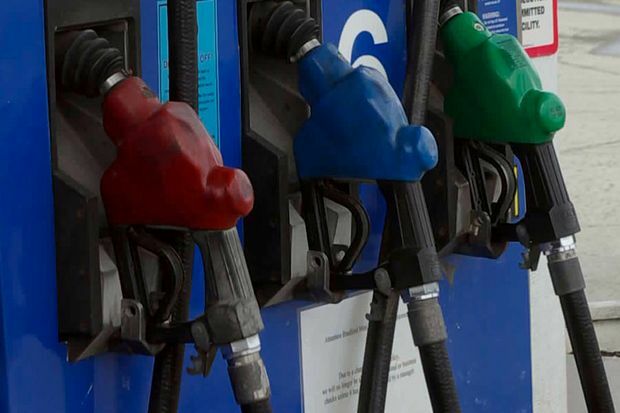 Many will be thankful to see gas prices trending cheaper in cities across the country,” said Georjeane Blumling, spokesperson for AAA Tidewater Virginia. At the close of Friday’s formal trading session on the NYMEX, WTI increased $1.41 to settle at $56.55. The price per barrel of crude oil is likely to continue gaining throughout the week after EIA’s latest report showed that crude inputs into refineries, for production of products like gasoline, grew by 250,000 b/d on the week to land at 16.9 million b/d. After recent growth in the U.S. active oil rig count, last week’s count remained unchanged at 738. This news may give market observers hope that oil prices may push even higher ahead of OPEC’s meeting on November 30, in Vienna. However, recent growth in U.S. oil production may only underscore that other countries, such as the U.S., will continue to fill the void left by other oil producers. At the upcoming meeting, OPEC and non-OPEC member countries that are a part of the production reduction agreement to curtail supply may decide to extend the agreement beyond its current expiration date at the end of March 2018. All eyes will remain on key countries in the agreement, such as Russia and Saudi Arabia, to see if they signal a willingness to extend the agreement through the end of the year or deepen the production cuts.